We’re getting lots of yummy cabbage at the moment in our veg box. Spring is a great time of year for it, and this simple side goes well with just about any main dish I’m cooking right now. 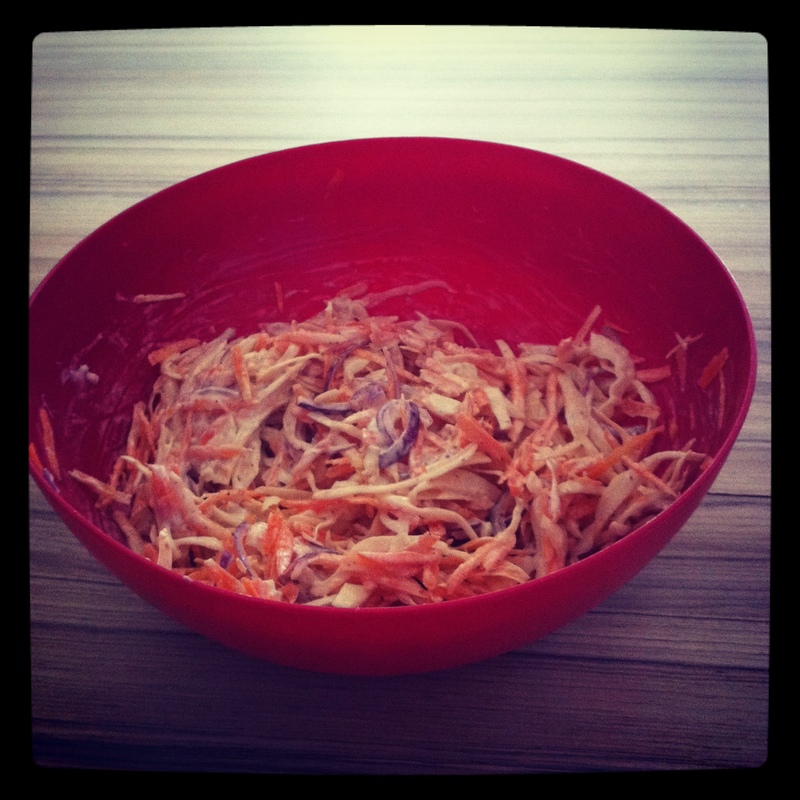 Now that I’ve mastered the art of making fresh mayo, true home made coleslaw is never far away. This wonderful side dish takes less than five minutes to rustle up and is always a crowd pleaser.